Being pregnant takes a lot out of your body. I would say that my second pregnancy took even more, dramatically affecting my skin and hair. I am closer to hitting the 40’s and having skin that looks healthy is definitely one of my main concerns. After having a baby, my face looked terrible. 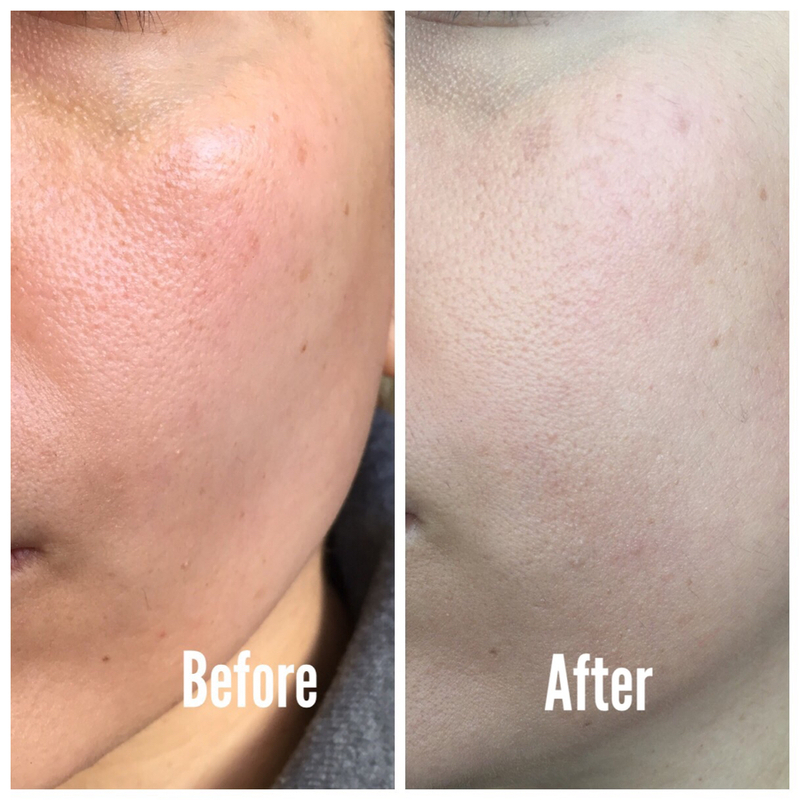 It was full of dark spots and the pigmentation on my cheekbones was very noticeable. 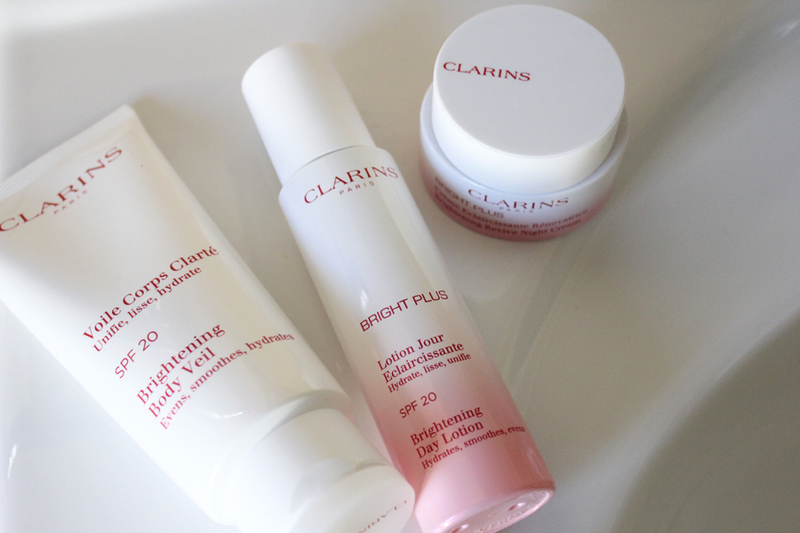 During my second week of postpartum, Clarins sent me some products from its Bright Plus Range (Brightening Day Lotion, Brightening Revive Night Cream and Brightening Body Veil). I started using them to see if their promise of reducing the dark spots was true. 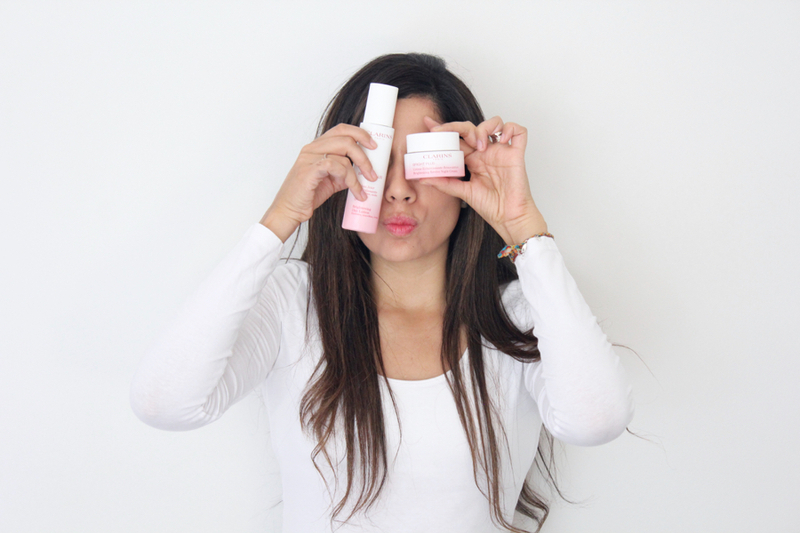 Every time I receive products, I use them for at least 3 months in order to see results and write a proper review. What I like about this lotion is that it is very light, leaving my skin bright, radiant but matte at the same time. Thanks to its texture, my skin feels ready for either the foundation or loose powder. My complexion looks even and toned. This cream is smooth and smells so nice. 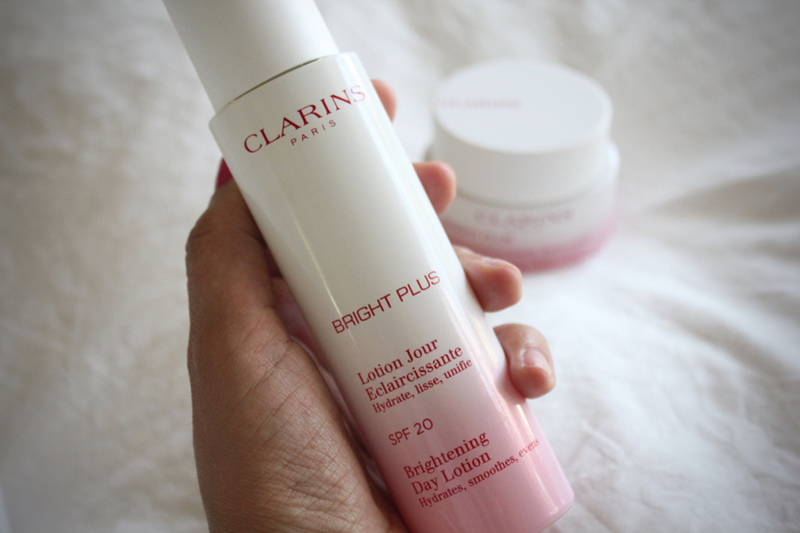 I also like the fact that this product has SPF20 which protects my skin during the day. 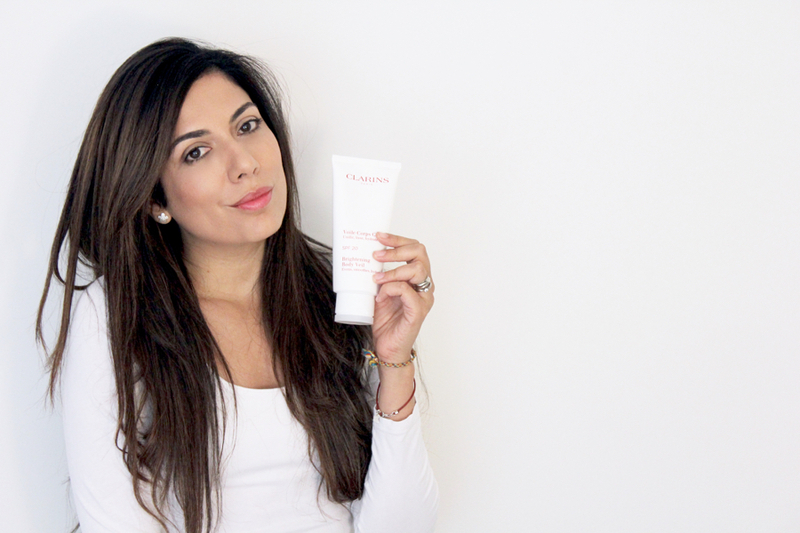 For me a day cream with SPF protection is a must! I don’t like to use a day cream or lotion and then apply sunscreen because the makeup looks funny. This cream doesn’t leave my face with a ¨caked” look after applying the foundation. As part of my routine, I only use sunscreen when I am at the beach or when exposing my skin to the sun for many hours. I don’t want to apply sunscreen everyday on my face, that’s why I like this product. I love the packaging and the measure pump. Thanks to its shape, that is so different to most of the day creams that I know, it is so easy to find it on my bathroom´s counter during the morning rush. 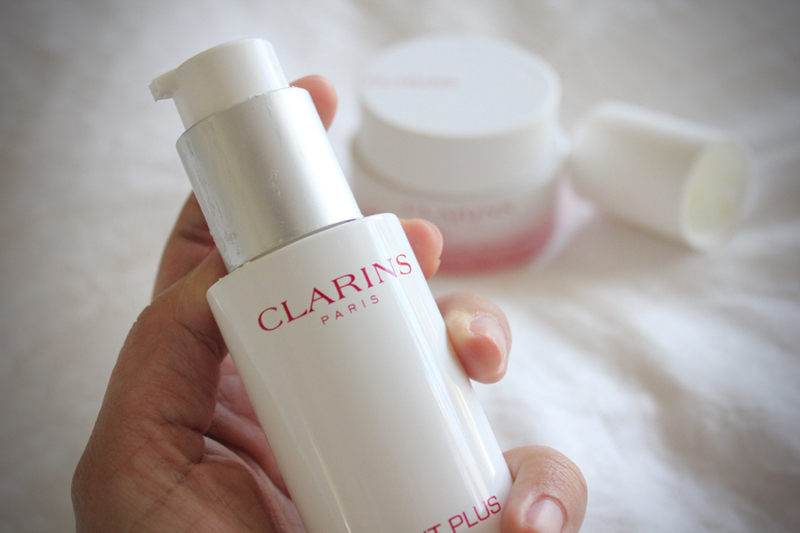 Also the size of the bottle is very good, I have been using it already for 7 months and it still isn’t finished! Which means its value for money is really worth it. This product contains Acerola fruit extract which has a high content of Vitamin C, that’s why at the end of the day I still feel my skin nourished and not dry or dehydrated. This cream is a great complement to the day cream. 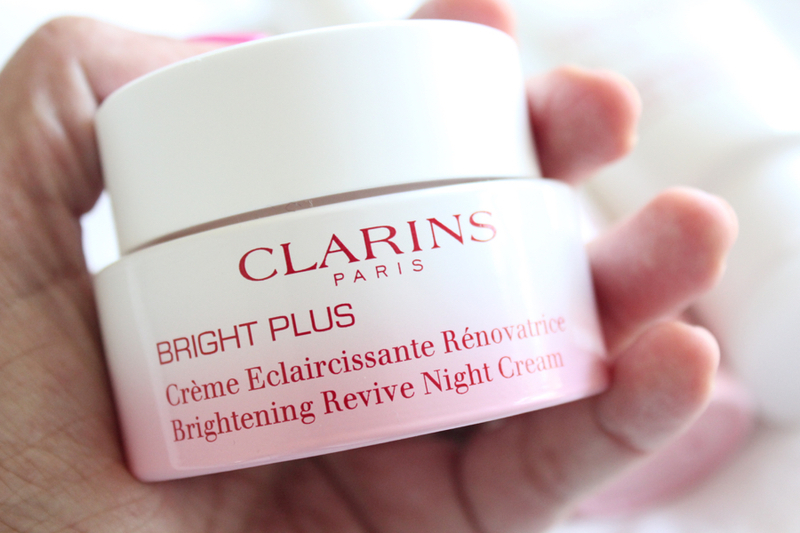 And I must say that if you want better results for your skin, you should use both: Day Cream and Night cream from the Bright Plus range. This cream is thicker and also smells so nice. I like that is thick because I believe that at night, the skin needs something stronger that repairs the damage that was caused during the day. 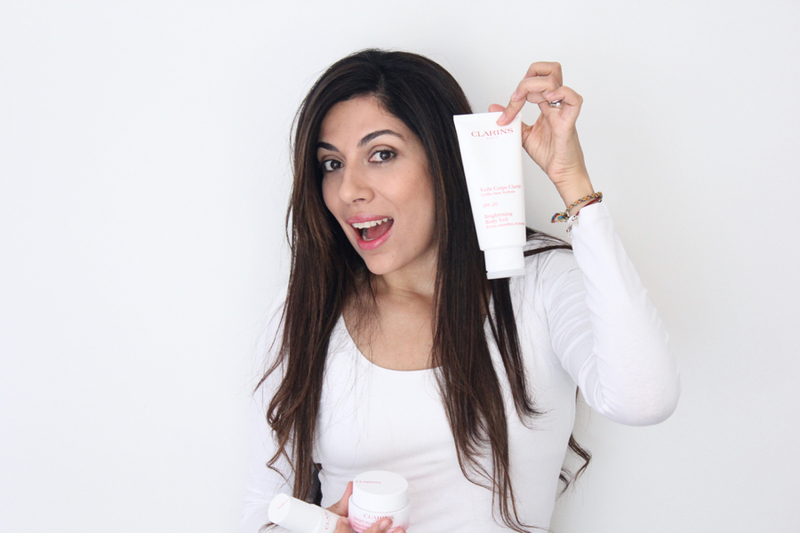 What I love about this night cream is that when I wake up, I feel my skin is smooth, hydrated and relaxed. As a tip, if you want better results, at night while you apply this cream, do it with a long massage so it will penetrate your skin more, and be more effective. I always do a 5 min massage, and also apply pressure to the zones where I have pigmentation and dark spots. 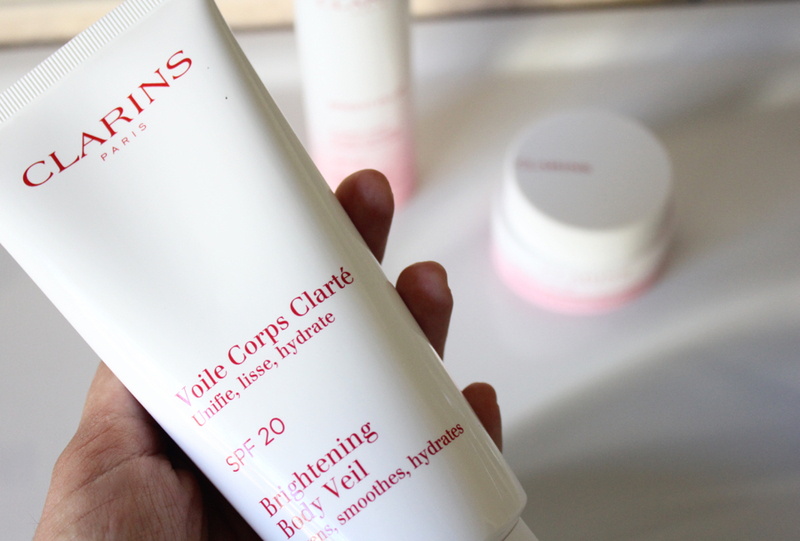 I love that this also has SPF 20 which protects my arms and legs during those sunny days. This is the first body cream I know that has SPF, and I found it really clever! Sometimes we don´t notice how much sun we’re exposed to during the day, so it is so good to feel protected. I like the texture which makes my arms and legs look and feel hydrated for the whole day. It has a subtle scent that doesn’t compete with my perfume. What I want to highlight about this product is that it really worked on my dark line that I had on my belly after my pregnancy. 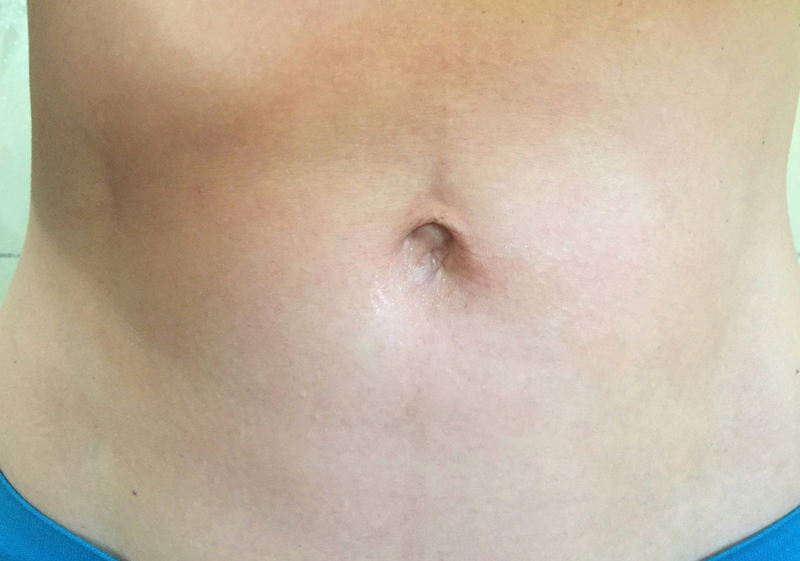 After my first pregnancy, this line was on my belly for around 14 months. I really hated it and didn´t like to wear bikinis as that line was always there. I must say that after my second pregnancy, I started using this body cream immediately. Now, 7 months after having my baby, look how it looks. Its been fading really fast, I can barely see it! Now I wear my bikini without feeling embarrassed as you can barely see this line. I also apply it at night doing a short massage to have better results. Tip: I’ve always been very concerned about the amount of sun my hands receive during the day. I drive long distances and my hands are always exposed to sun through the front window of my car. Using this cream on your hands during the day not only protects your skin, but in long run will deal with the aging process of your hands. Remember that our hands can tell a lot about our age. This is how my face is before and after I started using the Bright Plus Range. As you can see my skin was vey red and uneven. Now it looks much better and the pigmentation has been reduced! but hasn’t disappeared completely. However, I totally recommend this product, talking about results, these pictures say it all. 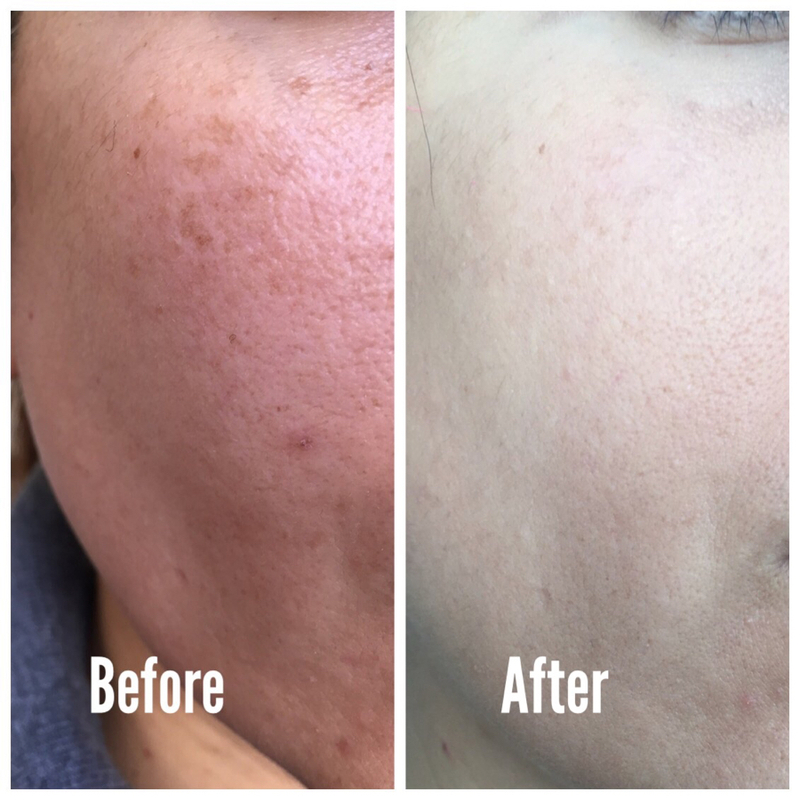 I would suggest that if you have a severe pigmentation problem, the best thing that you can do, is have a professional peel and then maintain it with the Bright Plus Range. Don´t expect miracles if your pigmentation is huge, but your skin tone will definitely look much better after using these products. If you have some pigmentation and dark spots, this range might work well on you but for better results, you have to use the Day and Night Cream together as they complement each other. I also suggest you use them for at least one year.